We tested whether the semi-automatic program CROCO can replace visual assessments of slides to detect changes in defoliation assessment methods. We randomly selected a series of slides of 24 Norway spruce trees with 220 field assessments made between 1986 and 1995. The slides had been randomly arranged and assessed by three experts without knowledge of the tree number or the year when the slide was taken. Defoliation scores were computed with CROCO. Each tree had thus three different defoliation scores, field assessments, photo assessments and CROCO scores. 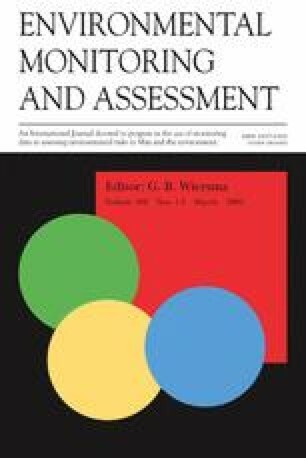 CROCO scores were less correlated with the field assessments (Spearman’s rank correlation: 0.67) than were the slide assessments with the field assessments (0.79–0.83). However, CROCO was not biased against the field scores, while slide assessments systematically underestimated defoliation. In a multi-variate mixed effect model none of the variables tree overlap, tree visibility and light conditions was significant in explaining differences between slide assessors and CROCO scores. The same model applied for the differences from the field scores yielded significant effects for poor light conditions (CROCO and all assessors), for crown overlap (CROCO and one assessor) and for visibility (one assessor). We conclude, therefore, that CROCO can be used to detect past and future changes in assessment methods without bias if poor quality photographs are avoided.